We are constantly hearing of how poorly behaved British motorists can be, but what if we told you that in the grand scheme of things, we aren’t actually that bad? In fact, we’re pretty well-mannered when you look at statistics. For example, did you know we have the second safest roads in Europe? It’s only Sweden who has fewer incidents relative to the population. Today we’re having a quick look at some of the antics that motorists have been up to abroad. So it turns out that the stereotype that all Italians drive like maniacs hasn’t been plucked out of thin air. A speed camera was installed in the Italian town of Acquetico following hundreds of complaints to the mayor about drivers speeding through the hillside town. The speed trap was placed near the towns main pedestrian crossing and within just 2 weeks the trap had caught 58,000 motorists - yes, you read that correctly. Dozens of motorists were caught travelling at over 100km/h through the town centre, over double the speed limit, and of the 20 worst offences almost all of them took place in the middle of the day. Shocking. We all make mistakes, sometimes more than once, but an Austrian baker has really pushed the boundaries. Heimo Wallner travels home from his job in Klagenfurt at about 3 o’clock in the morning every day when there are very few cars on the roads, which he claims are poorly lit. Sadly for him, he received a speeding ticket for going through a school zone at 50 km/h when the limit is actually 30km/h. What worried him was the fact he had done this every day since he started his new job, and sure enough, another 41 speeding tickets followed in the post, all from the same location. The camera in question worked via infrared and didn’t let off a flash so Mr Wallner had no idea he was being caught, sadly he was fined €3,000. Foreigners should know that the Dubai police aren’t to be taken lightly and rule-breaking over in the UAE comes with very harsh punishments. This is a lesson that a Welsh tourist learnt when he was caught speeding in Dubai behind the wheel of a rented Lamborghini. He set off ‘dozens’ of speed cameras and therefore had his passport held by the hire firm until the fines were paid. Police officers eventually came in to help the driver and they reduced the £36,000 fine to just a minor £26,000. It turns out that the driver had triggered every speed camera on the Sheikh Zayed road within 4 hours, clocking speeds of up to 150 mph. Life is very different in New Zealand, so much so that the general public isn’t happy with the police about speeding. So much so that a ‘Top 10’ list of police officers caught and fined for speeding has been released. All 10 offences were committed by officers who weren’t responding to calls and they have been issued with fines. 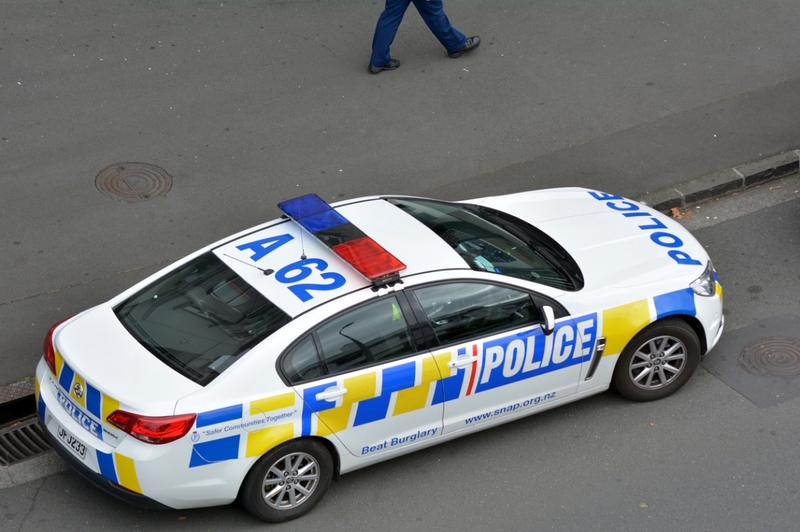 The number one offender was caught outside the city of Auckland on New Zealand’s North Island, where the officer was caught at 45km/h over the posted speed limit which would normally lead to a driving ban but the officer was spared in this instance and had to pay a fine instead. Now, back on our little island, in the town of Little Mill in Wales, vigilante civilians have been making their own efforts to reduce speeding and the results speak for themselves. The community-led movement has seen roughly 100 motorists caught speeding every month. These motorists haven’t been held accountable in court or issued with fines, but instead, they are sent out a warning by post. Between February 2017 and May 2018, there were 1,526 warnings sent out after being caught by local recruits. Finishing back close to home, if there is anyone in the country who can afford to pay a massive speeding fine in our country it’s a premier league footballer. Southampton star Mario Lemina, however, was caught speeding in his Mercedes-Benz GLA45 AMG on three separate occasions and consistently failed to notify the police who was behind the wheel. He claimed it could also have been his brother or his cousin, who he lives with. He was fined a total of 3 weeks ages, totalling a staggering £96,000. A lesson learned for Mario, you would like to think.